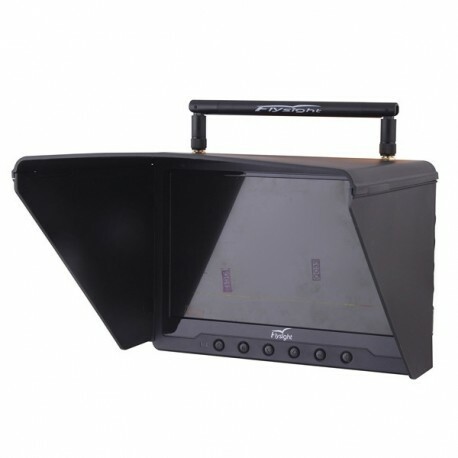 7 "HD monitor for FPV supplied with a sun visor to allow easy online viewing of the model. 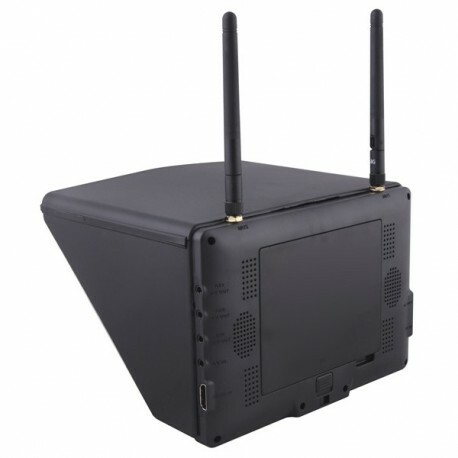 Built-in receiver, transmitter and 1000mAh / 11.1V Lipol battery. 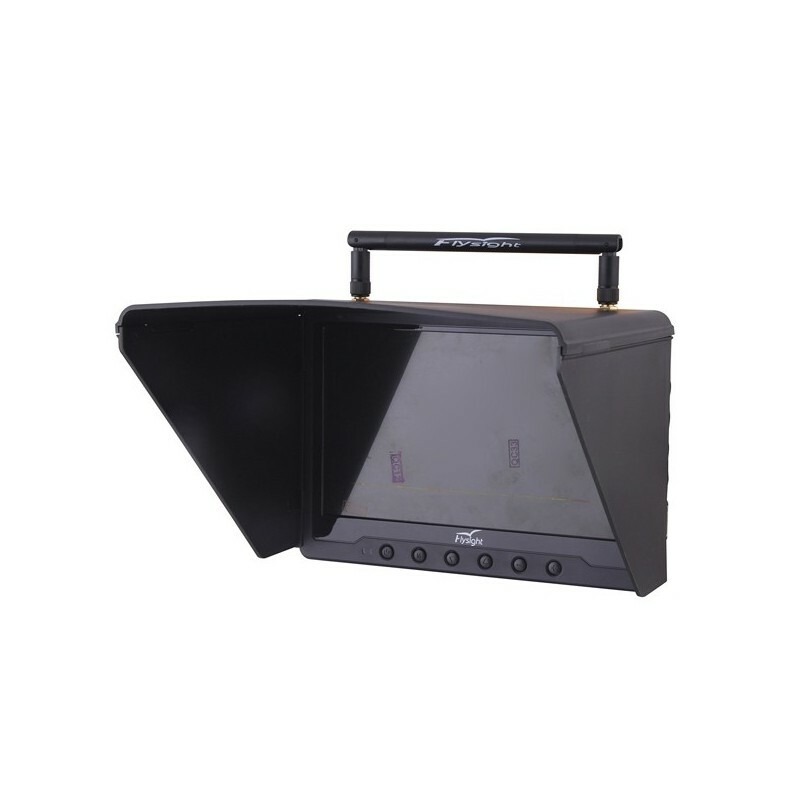 7 "HD monitor for FPV supplied with a sun visor, allowing you to conveniently monitor online transmission from the model Built-in receiver and Lipol batteries No more cables! The 1024x600 monitor lets you see the world from a bird's eye view in HD quality. The plastic sun visor can be easily pulled and removed from the monitor due to a click. Built-in Lipol 1000mAh / 11,1V (3S) battery. It can be powered directly from the 220V socket. 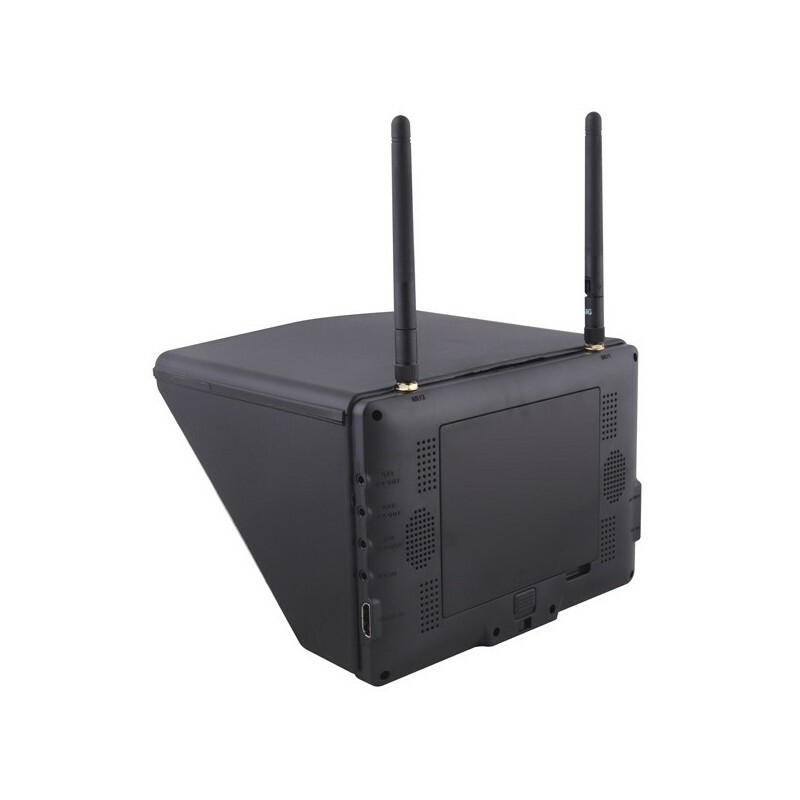 The Diversity Video Receiver is built inside the monitor so no cables around you. Display resolution 4: 3 or 16: 9 and reception in NTSC / PAL. There are two antennas (band A, B and F) for a strong signal. The Diversity receiver itself determines which antenna is actually receiving the signal (the antenna that has a higher reception is superior to the other with a lower signal reception). The Monitor offers its own custom user menu, which you control with the buttons on the front of the monitor. The attractive function of the monitor is its own ZOOM image. For mounting on a tripod, use a standard tripod screw (not included). Monitor is not compatible with AVL58 video transmission sets. Reduction for axial rod antenna 3MK25060. SMA / RP SMA male. 1pcs in package.